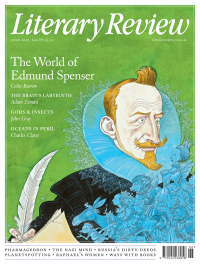 Edmund Spenser was the greatest Elizabethan poet – and here ‘greatest’ means not just ‘best’ but also ‘biggest’. From 1579 he published poems which were designed to show that he was the heir of both Chaucer and Virgil, fusing English and classical traditions. These culminated in the publication in 1590 of the first three books of The Faerie Queene. This vast allegorical romance epic gave a Protestant and English form to a genre popularised by Ariosto’s Orlando Furioso and Tasso’s Gerusalemme liberata.